Here's some paper and a pencil, use it to write down all the goals you want to achieve this year. Written the goals already? Ok then, how do you plan on sticking to those goals and achieving them? Aha! Let's go back to Economics 101 of goal setting, shall we? *Set the goals and write them down! But you already did that, didn't you? The goals have to motivate you so place them where you can see them all the time. 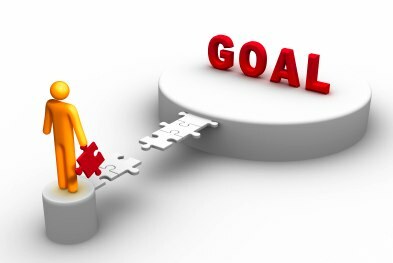 *Break the goals down into smaller measurable tasks/objectives. *Create action plans that will result in the success of the objectives and the overall goal and do them! *Set time-lines and stick to them. No procrastination! *Keep track of your progress and stay accountable. Tell friends or go public - you can use a social media platform. It's easier to stick to your goal when you know people are looking up to you to follow through. Bonus - It's the digital age, get an app! There's a surplus of apps that cater to all kinds of needs. Get into the app store of your phone/device and get searching. Input the goals and objectives and set reminders to keep them fresh in your memory. PS - Don't forget to drink lots of water! We wish you a fit, fierce & fabulous 2016! Happy new year girlfriend. may the year bring you lots of reasons to smile.